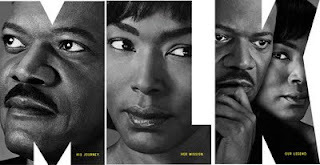 New York City Stage: I Have Finally Seen "The Mountaintop"
I Have Finally Seen "The Mountaintop"
I haven’t been to the mountaintop referred to in Dr. King’s famous last speech, but I sure got to experience Katori Hall’s play this weekend at the Bernard B. Jacobs Theatre. After reading about the young playwright’s journey to Broadway, I have been blogging about and anxiously waiting to see The Mountaintop for the past couple of months. I found Ms. Hall’s journey ironic and her inspiration touching. I expressed concerns about the casting of the not so young Hollywood action hero Samuel L. Jackson as the venerable Dr. King and the not so young and extremely intense actress Angela Bassett as Camae. Then, I became deflated after I unfortunately read an audience member’s online review and revelation of the twist in the play. I was finally knocked out when many critics including The New York Times (the only one that matters according to Broadway star Patti LuPone) slammed the play as thin and cute. However, rejuvenated by Minetta Tavern’s protein intense black label burger at brunch, I headed to Times Square and enjoyed one of the most engaging plays I've seen all year. The Mountaintop wonderfully and mystically imagines an encounter between Dr. King and a mysterious maid in Room 306 of the Lorraine Motel in Memphis on the night before Dr. King was shot. As an African American, I no doubt have an emotional connection to Dr. King, the struggle for equality and this play - perhaps in a way that many of New York's theater critics will never have. Now, please note that this play is not a perfect one. However, Samuel L. Jackson not as captivating as the Dr. King handled his part with reserved dignity. After finally seeing the play, it is very clear that this play is a woman's play in many respects; it was written by Ms. Hall for her mother, who was not able to see Dr. King’s final speech in Memphis in 1968. 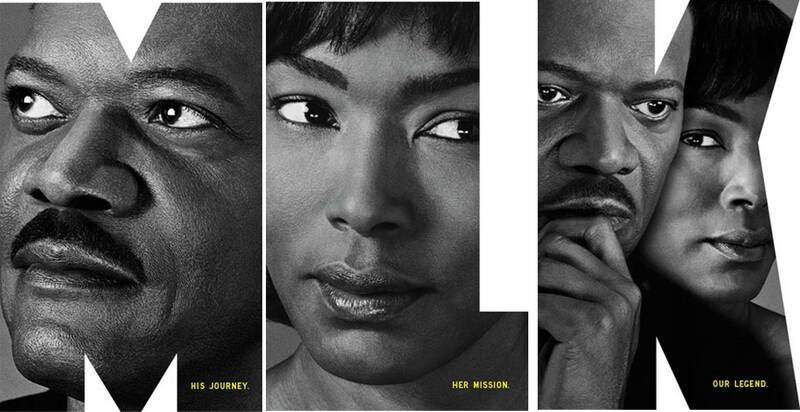 For once, I was not as distracted by Ms. Bassett's sassy intensity as she played Camae and would be shocked if she does not earn a Tony Award nomination for her riveting performance (highlights include a Black Panther inspired sermon and moving monologue at the end of this 90 minute gem). When I watch plays, I often wonder whether it will be timeless. Can I see myself watching this play five or ten years from now? With The Mountaintop, I most certainly can.